CEBU, Philippines – (Reuters) – Philippine police have stepped up security on the holiday island of Cebu, the president’s spokesman said on Friday, after the U.S. embassy warned its citizens that “terrorist” groups could be planning kidnappings there. The travel advisory was issued in response to comments made to media by regional police that said six Abu Sayyaf rebels were in Cebu, an island popular for diving and racy nightlife and far from the Islamist group’s stronghold in the south. The warning said it had no specific information of the kidnap threat but advised citizens to be vigilant and avoid travel to certain areas. Presidential spokesman Ernesto Abella said authorities were still trying to confirm the media report but the Philippine National Police were taking it seriously and beefing up security measures, including at public venues where crowds gather. “The PNP commanders at various levels have taken the necessary steps to harden or protect possible targets,” Abella said in a statement. President Rodrigo Duterte has deployed troops to several southern islands to wipe out Abu Sayyaf, which has links to al-Qaeda but has gained notoriety more for kidnappings and piracy than its stated separatist goals. It is believed to have netted tens of millions of dollars in ransom money in recent years, helping it to entrench its network and buy modern weapons and equipment. 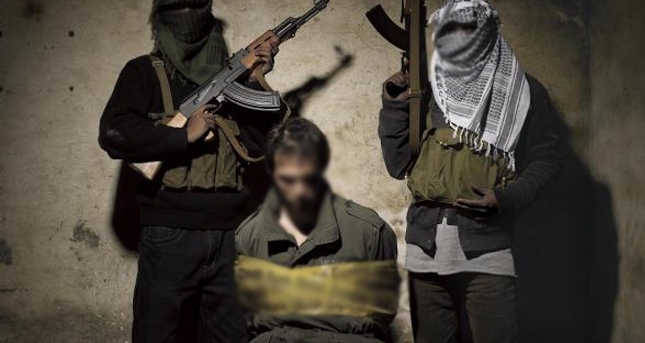 Abu Sayyaf are holding Malaysians, Filipinos and Indonesians and a Netherlands national. This year it beheaded two Canadians, who were among a group abducted from a holiday resort in Mindanao. Travel advisories on the Philippines are frequent, mostly warning against kidnapping, crime and in certain areas, Muslim extremism and bombings. Warnings about Cebu itself are rare. A bomb at a market in Duterte’s home city of Davao on Sept 2 killed 15 people and wounded more than 60 people. It makes sense to remain aware. The anti American sediment should subside now that the US has a REAL President. When you study the photo you can see that there is a dozen or so people, its all made to look like a large rally.The more that attend these things , the more people with less knowledge of why they are there.